Ti analysis reveals full-year 2018 freight growth forecast of 4.1%, well below last year’s 8%, as 2017 restocking boom peters out. 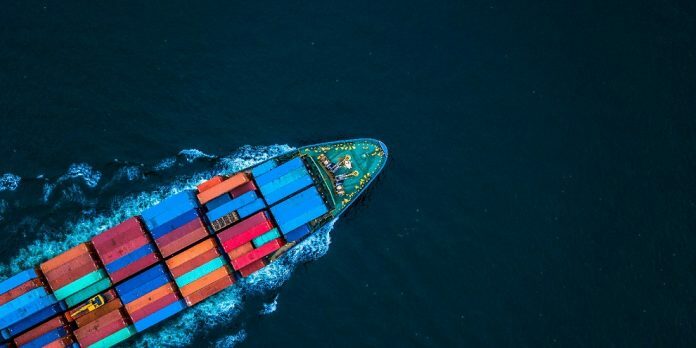 Global freight forwarding growth this year is expected to be barely half its level last year, due to the positive effects of the recent 18-month restocking cycle petering out, according to new analysis by Transport Intelligence (Ti). The global freight forwarding market achieved growth of 4.9%, year over year, in the first half (H1) of 2018, according to new mid-year market size figures from Ti, with air freight forwarding expanding 5.3% and sea freight forwarding growing 4.3%. Analysis also reveals a ‘real-terms’ full-year growth forecast of 4.1% in 2018, as annual growth slips from the 8% seen in 2017, primarily as a result of the global restocking cycle coming to an end. As such, the market is expected to reach a value of €148.8 billion in 2018, according to Ti’s Nick Bailey. In Air, Ti projects a growth rate in 2018 of 4.3%. This is some way below the annual growth seen in 2017, but again is a result of the end of the restocking cycle, which brought a large proportion of growth to the air freight market over the course of 2017, Bailey notes. Sea freight is forecast to expand at a rate of 3.9% in 2018, which represents a slight decline in the annual growth rate. In both air and sea freight, Ti expects 2018 growth rates to come in below those seen in 2017; however, growth is still some way ahead of the averages seen between 2011-2016. This is expected to remain the case, with the 5-year real compound annual growth rate (CAGR) for the global forwarding market a healthy 4.6%, Ti notes. Back in July, Ti released its annual update of the global freight forwarding market, estimating growth for 2017 at an impressive 8% in real terms (holding price growth and exchange rates constant). The growth represented a substantial improvement on the 2.7% real terms expansion seen in 2016. In fact, it was the strongest the market had seen since 2010, and took the overall value of global forwarding to €142,648m. At the time, Ti put the growth down to a number of factors, including an improvement in wider economic conditions and higher international trade volumes over the course of 2017. Indeed, international trade of goods grew by between 5.2% and 5.5% in 2017, up from a range of 2.2%-2.3% in 2016, according to IMF data. In both advanced and emerging economies, there was a resurgence. In particular, improvements in the US, China and Japan, as well as the European Union, contributed to increased global demand growth, which in turn has led to an upsurge in forwarders’ volumes. Another significant driver was the global restocking cycle, which drove a pick up in airfreight in particular. The global market for airfreight expanded 10.2% in 2017, thanks in large part to its ability to move goods quickly as retailers and manufacturers sought to meet demand as economic performance picked up. “But restocking cycles are usually short-lived, and in the first-ever mid-year update of the freight forwarding market size, Ti has found that its positive effects on growth in the forwarding market will subside in 2018,” Bailey notes.